Dark Horse Comics is one of the top publishers for licensed comics, and How To Train Your Dragon joins the publisher’s stable this year with a new graphic novel in February. How To Train Your Dragon: The Serpent’s Heir picks up right after the second film, taking Hiccup, Toothless, and the rest of the gang to an earthquake-plagued island where they meet a dangerous new enemy with a deadly dragon of his own. Co-written by Dean DeBlois—writer/director/producer of the HTTYD movies—and Richard Hamilton with art by Doug Wheatley and colorist Wes Dzioba, The Serpent’s Heir is a thrilling continuation of the story that began on the screen, with all the spectacle and heartfelt emotion that fans of the property have come to expect. The graphic novel hits stands on February 15, but in the meanwhile, readers can whet their appetite with this exclusive look at the process for two pages, breaking down the evolution of the artwork from Wheatley’s thumbnails to inks to the final colored and lettered product. Wheatley and Dzioba do excellent work maintaining the look of the computer-animated films in their artwork, and these process pages highlight how important the coloring is in achieving that 3-D look with 2-D art. The inks also showcase the texture in Wheatley’s linework, providing a strong foundation for Dzioba to build on with his colors. 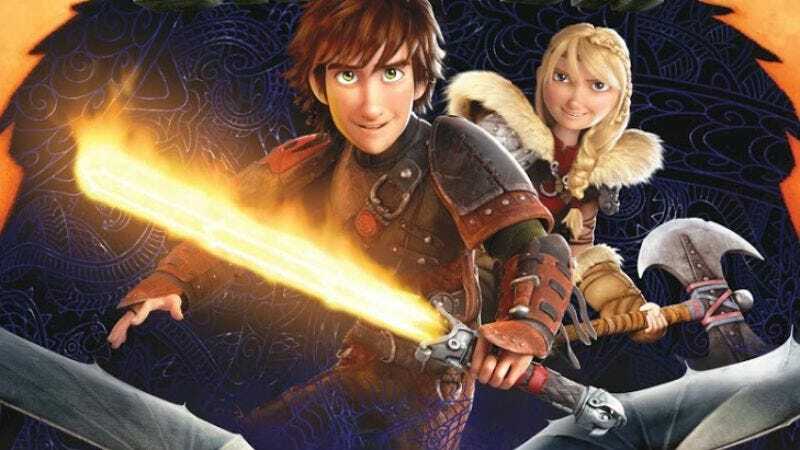 The visuals only get more spectacular as the heroes find themselves in the middle of dragon-fueled action, and this creative team understands exactly what has made HTTYD one of the most popular cartoon franchises of the last decade.